Zippo has produced hundreds of thousands of lighters with military themes. The Zippo lighter was practically standard issue for military personnel in WWII, when Zippo earmarked all lighters produced to go to the military. Every ship in the U.S. Navy has been commemorated on a Zippo lighter; every major U.S. military engagement since WWII has been immortalized with its own Zippo lighter. 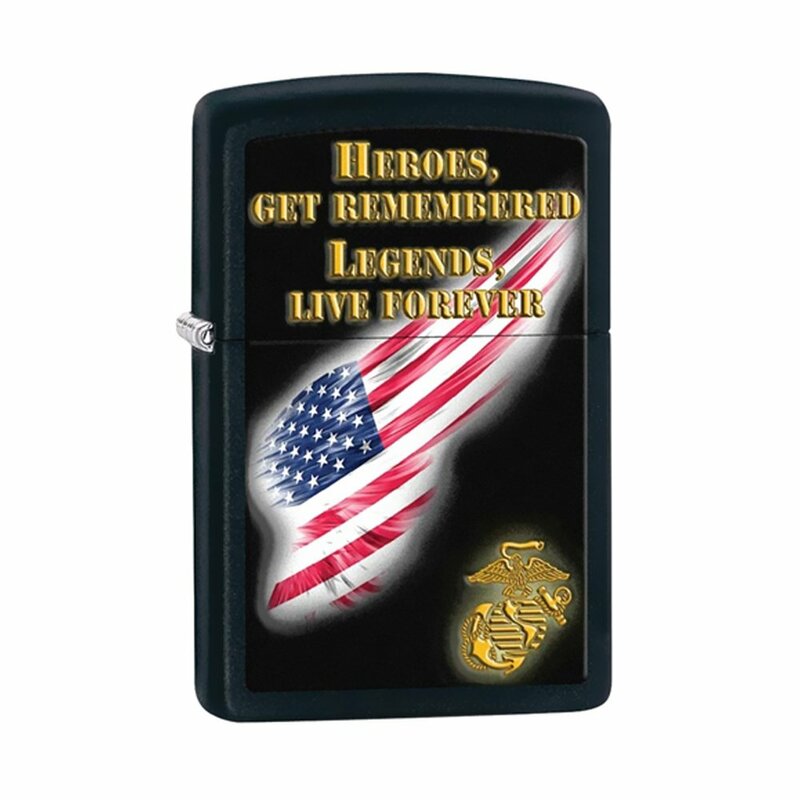 Zippo honors the United States Marine Corps with this genuine Zippo black matte windproof lighter imprinted with the USMC insignia and stylized American flag. Refill with Zippo premium lighter fluid for dependable, long-lasting service. Distinctive layered hinge and bottom stamp authenticate this lighter as a genuine Zippo matte lighter. Packaged in an individual gift box with Zippo Lifetime Guarantee.